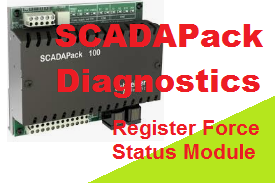 The Register Force Status module is used to determine if a Modbus register in a SCADAPack controller is forced to some state or value, after which a bit is assigned to a status register (modbus register 10000). This status bit is user configurable. 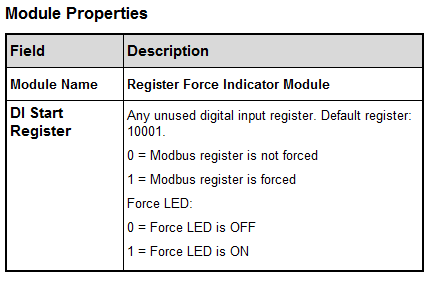 The status register is continuously updated as the Modbus register(s) in the controller get forced. The status bit shows energized when a Modbus register(s) is/are forced and de-energized when none of the Modbus register(s) in the controller is forced. The table below outlines the states. Check out my vlog on SCADAPack Force Status module demonstration.